SF Advanced Health was founded by Dr. Payal Bhandari M.D. in 2013. Our innovative, integrative medical clinic provides proactive and progressive healthcare solutions that go beyond pharmacy and surgery. Our highly experienced physicians and complementary holistic practitioners combine the best in conventional and personalized medicine to help clients identify and address the root cause of disease. By reversing chronic diseases and restoring clients' health, we help clients save time and money in the long run. "Dr. Bhandari is fantastic. She truly looks at medicine from a holistic approach." "Her calm, caring, diligence & intelligence made my experience with her one of the best." "Happy to have found Dr. Bhandari. She is a knowledgeable, kind and talented physician..."
"Best primary care doctor in San Francisco. Caring, personable, knowledgeable." "I wish I found Dr. Bhandari years ago!!! !...I felt so calm and knew I was in good hands." "Dr. South was very friendly and knowledgeable." “Thank you so much for providing such wonderful service!" "Dr. South was very informative, listened to me and answered my questions." "I am impressed at the results I got by following Dr. Bhandari's recommendations." "Dr. Bhandari is a compassionate, thoughtful and well-experienced doctor. "Dr. South is very professional with great bedside manner." 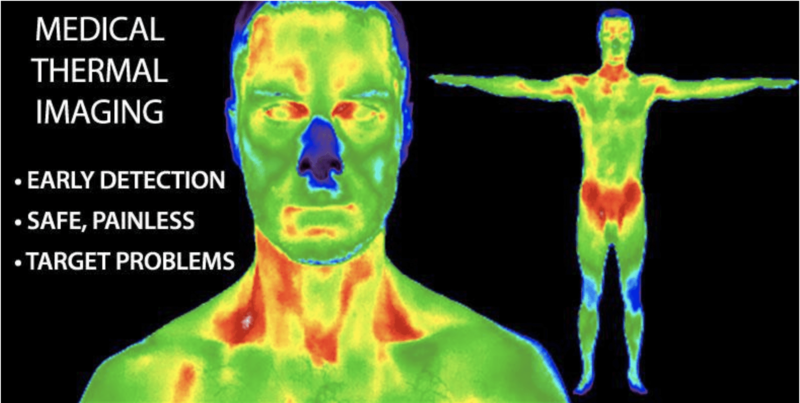 Call our office today to book your Thermography appointment! Francisco artist Victoria Drake in showcasing her beautiful art installations at our clinic. We both share a holistic view on health and how it's connected to one’s spirit, emotions, and whole being alignment. Several of Victoria's Windows of Meditation pieces inspire empowerment, strength, spirituality, sensuality, and passion. "Dr. Bhandari was able to provide the correct diagnosis where 2 other specialists failed. My experience with her was one of the best. Highly recommend." "I am so happy to have found Dr. Bhandari. She is a knowledgeable, kind and talented physician...The medical field needs more doctors like Dr. Bhandari." "Dr Bhandari spent considerable time with me to understand all symptoms with a very thorough and holistic approach...She clearly cares for her patients' well being." "[Dr. South] is a wonderful doctor, great listening skills, fantastic diagnostic technician and a true professional." "Dr. South asked the right questions, listened to my complaints, recommened the correct testing, great bed-side manner and kind." Receive the latest evidence-based research, our latest blogs, and Advanced Health event announcements. 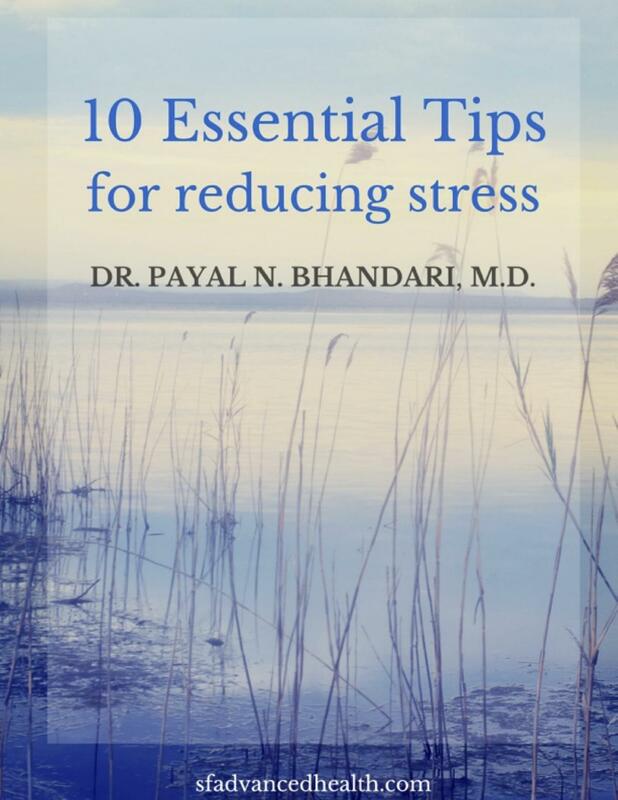 Regain control over your health and happiness with Dr. Payal Bhandari's 10 Tips for Reducing Stress. The 10 Essential Tips for Reducing Stress E-booklet. - And numerous healthy living tips!